The film interlaces two stories set fifty years apart, switching frequently between them. Each tells the story of a child's quest. In 1927, Rose runs away from her father's New Jersey home to find her mother/idol, the actress Lillian Mayhew. In 1977, recently orphaned Ben runs away from his Minnesota home in search of his father..
A genuinely moving throwback to all those early silent features that used to endorse humanity in the most innocent and subtle way possible with a keen sense of awareness on installing touching details about its pragmatic characters and the eerie bubble that it resides in. Todd Haynes's brilliant execution skills factors in its favor but the real gem in here is Brian Selznick's smart adaptation for the screen. Julianne Moore and Michelle Williams are good supporters to these brilliant young actors i.e. 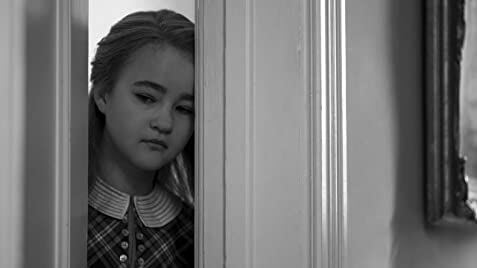 Oakes Fegley and Millicent Simmonds (her portrayal overpowers everyone on screen). 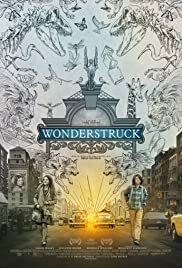 Wonderstruck walks on two different lines set in its own palpable tone where even though "the 1977" part has more material to feed, "the 1927" one steals the show for its poetic nature that draws out the best emotion from the screen.